On Feb. 1, the Athletic Department inducted its first class into the Hall of Honor. Between the boys and girls basketball game against Glenbrook South, the eight honorees were announced in front of the crowd and each received their own plaque and watch. The Hall of Honor display is finished and will be updated next year and then biennially. In the corridor outside of G108 at the Winnetka Campus, the Hall of Honor is located down the hallway. The backdrop represents historic locations on both campuses including the pool, Gates Gymnasium and stadium at Northfield. 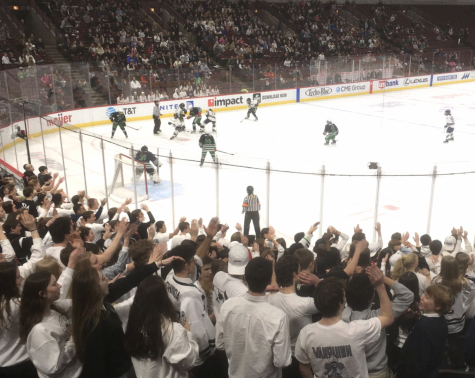 The pictures represent participants of all sports and athletic activity at New Trier. The Hall of Honor committee consists of Athletic Director and Chairman, Augie Fontanetta, Assistant Athletic Director, James Burnside, Athletic Coordinator, Paul Moretta, as well as a minimum of six coaches representing both gender sports. The selected head coaches will serve a two-year term on the committee. They may continue to be on the committee after the term or someone else can fulfill their role. “There are minimum requirements to be considered as a Head Coach, Assistant Coach, Administrator, or At-Large candidate. 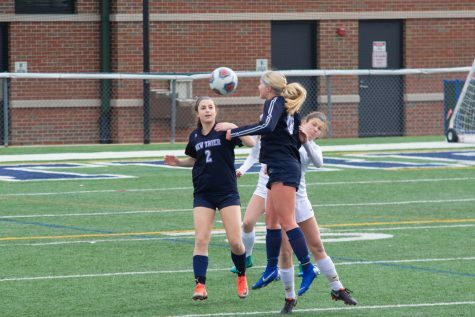 We look at years of service, contributions to their sport, as well as New Trier Athletics,” Fontanetta stated. He added that head coaches need 10 years of NT experience for induction, and assistant coaches need at least 20. To be nominated, the individual has to be retired for at least three years. Applications can be found online and anyone can nominate someone as a community member. The committee will then go through the applications. On Feb. 1, the athletic department had a reception and a staff dinner to welcome this year’s inductees. Kennicke won the first-ever IHSA Girls Volleyball Championship while being the team’s assistant coach. 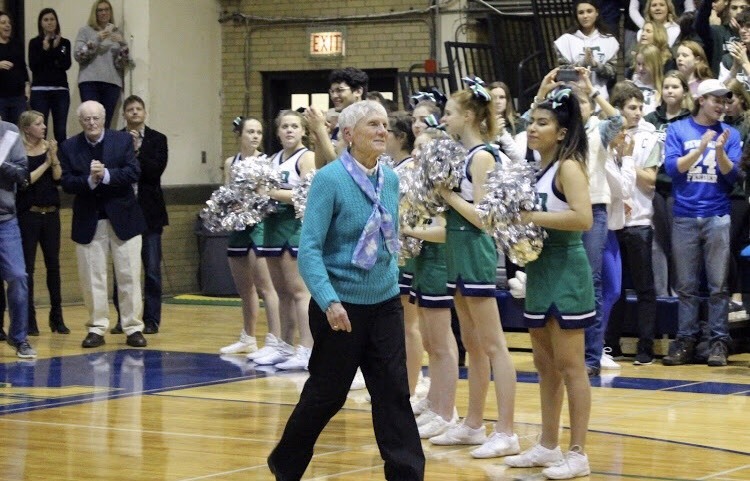 While she was the head coach for badminton, she won three state titles and was an IHSA State Tournament manager as well. This award is not limited to former New Trier employees, but also, for community members who have made a great impact on athletics. Lee Getschow was also selected and is the founder of New Trier’s booster club. Those may have mistakenly thought the Hall of Honor as the Hall of Fame. According to Fontanetta, the title, “Hall of Honor is more appropriate because we honor those who really committed their lives, career, and students to NT.” He believes the Hall of Fame is more related to professional sports and college athletics. The Hall of Honor only includes adults, because that the athletic department recognizes student-athletes in other ways. Recently, next to the Hall of Honor, the athletic department has implemented an all-conference and all-state board. Any student-athlete who places with an IHSA medal gets their picture in the display case. Fontanetta revealed that they will have another display in G109 and G110 hallway with former state champions. They will each have a name plaque with the year and the event that they won. Team trophies are another way of recognizing state champions.